Ralco announced the promotion of Dr. Russell Fent to Director of Swine Technical Group. USPOULTRY and the USPOULTRY Foundation are accepting nominations for the Charles Beard Research Excellence Award through July 1. The goal of the award is to recognize outstanding completed research projects, funded by USPOULTRY or the USPOULTRY Foundation, which have made a significant positive impact on the poultry industry. 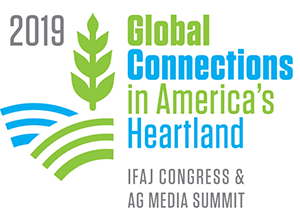 Kansas State University will be the first U.S. host of the Global Agenda for Sustainable Livestock Multi-Stakeholder Partnership Meeting Sept. 9-13. The U.N. organization’s annual meeting gathers leaders from government, NGOs, academia and industry to discuss innovative approaches to sustainable livestock production. The global regional finalists have been selected for the 2019 Alltech Young Scientist competition, the world’s largest agriscience competition for university students. Graduate students from colleges and universities around the world whose studies focus on agriculture and science will compete at the highest level for a chance to win $10,000 and gain access to innovative scientists from around the world. Now in its 14th year, the competition has received entrants from a total of 120 universities and 40 countries. After 20-plus years as a premier cattle scientist and administrator, John Arthington has been appointed chair of animal sciences at the University of Florida Institute of Food and Agricultural Sciences. Brightmark Energy, a San Francisco-based waste and energy development company, recently launched a biogas project in Yakima County, Washington, that will convert 150,000 gallons per day of dairy waste from up to 7,000 cows into 160,000 MMBtu of renewable natural gas – the equivalent of 1.4 million gallons of gasoline – and other products each year.